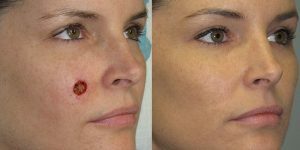 ALL IMAGES ON THIS WEBSITE ARE THE COPYRIGHTED PROPERTY OF THEIR RESPECTIVE OWNERS AND MAY NOT BE USED WITHOUT EXPRESS PERMISSION FROM SKIN CANCER AND RECONSTRUCTIVE SURGERY CENTER. 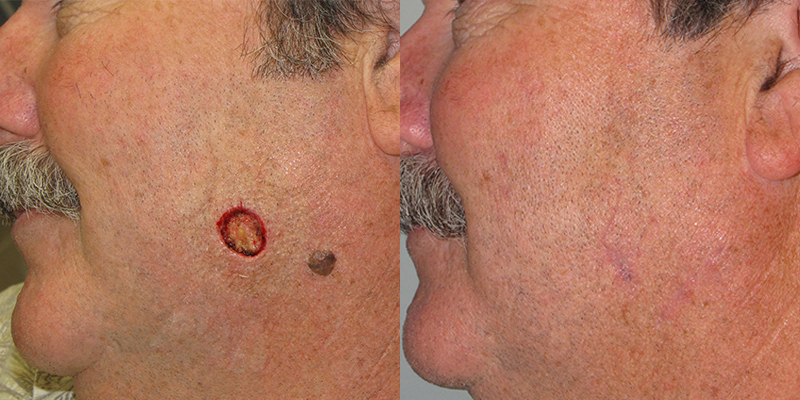 Basal cell carcinoma of left cheek and ear. 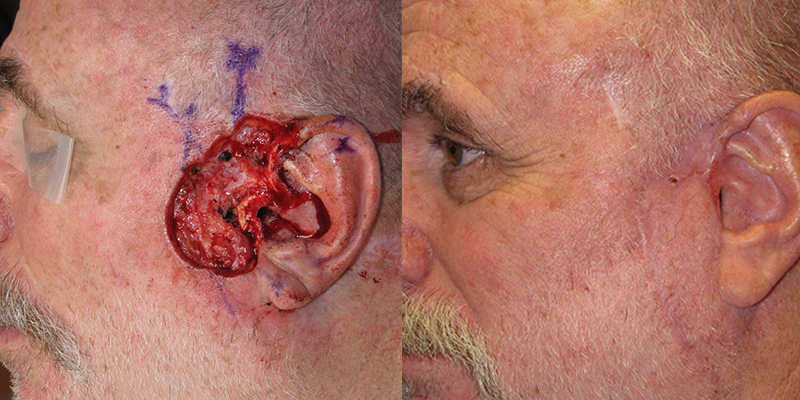 Reconstruction of cheek, parotid, and ear by Dr. Simon Madorsky at SCARS Center. 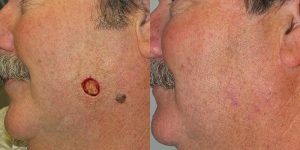 Basal Cell Carcinoma of cheek. 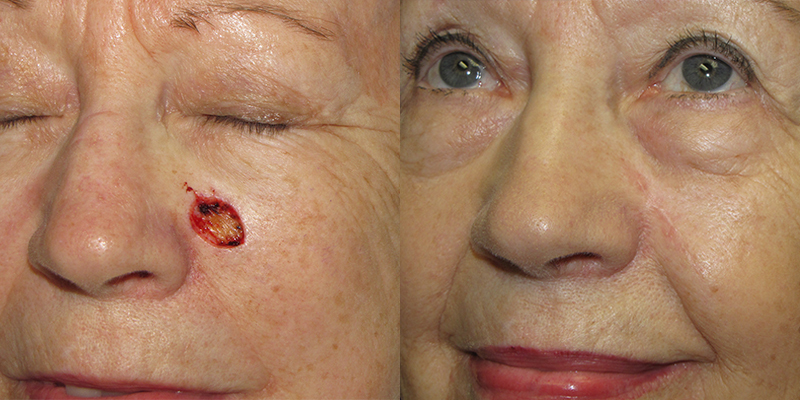 Treatment Mohs surgery. 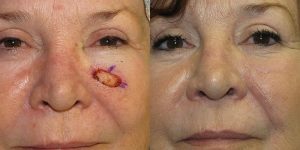 Reconstruction by Simon Madorsky, MD at SCARS Center. 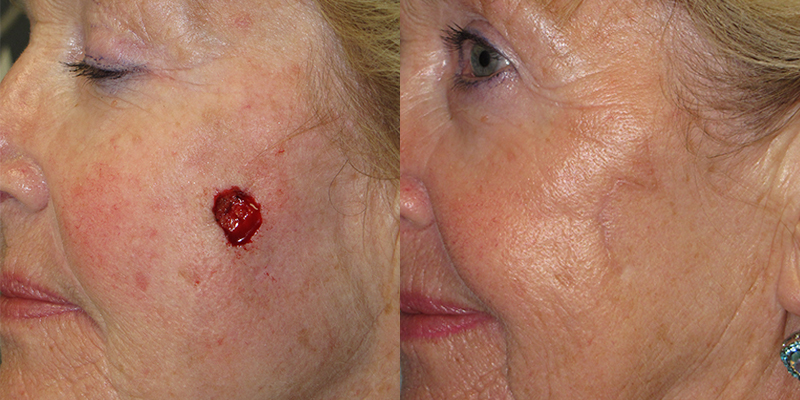 Squamous Cell Carcinoma of cheek. Treatment radiation therapy, Mohs surgery coordinated with primary dermatologist at SCARS Center, and reconstruction by Simon Madorsky, MD.